WHEN guitarist/vocalist RUSTY SPRINGFIELD was 'younger' it was organisations such as THE SALVATION ARMY and THE SMITH FAMILY that helped him get his life back on track. These days it is Rusty who has come to the aid of people who most need it. This Sunday at Cardiff RSL Club from midday, Rusty is holding RUSTY'S VARIETY CONCERT to raise funds for MISSION BEAT, which operates out of the Proclaimed Place in Newcastle West on Friday and Saturday nights. The organisation helps mend the lives of men whose lives have been ravaged by the effects of alcoholism, getting them off the streets and providing them with a warm place to sleep. 'People have asked me in the past why I do it,' Rusty said. 'My family has been helped out by The Salvos and The Smith Family in the past. This year Rusty helped raise money for the Mills sisters, who were seeking medical treatment overseas, and for Maddison Brown, who needed a wheelchair. 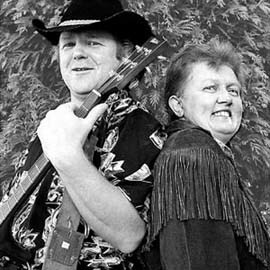 This Sunday Rusty will perform with musical partner SUSAN HOLMES, between midday and 2pm, as well as country performers LORRAINE HILES and BUTCH DUNCAN. At 3pm Rusty will stage his dancing puppet show. At 4pm he will perform as MELVIS singing ELVIS PRESLEY tunes. SANTA CLAUS will make an appearance at 5pm.